← Thunder Run 24 – All In! The @Chelt52 Twitter project is the brainchild of Sophie and Liam, it is a chance for 52 Cheltonian organisations or individuals to take over a Twitter account and promote different aspects of Cheltenham life to nearly 7,000 new followers. My aim is to promote running in the town, by showcasing the clubs, routes, races and retailers that make Cheltenham such a great place to run. I’ll also be sharing the best of Twitter and the products and companies I can recommend from personal experience. I’ll be calling for interaction from local runners to share their experiences, tweeting from training sessions and races through the week and finally live tweeting the Cheltenham Half! There is plenty of opportunity to be involved or to get a mention during the week. If any clubs want to be featured or brands want to run a competition then you just need to let me know! I’ll be supporting each day’s tweets with a daily blog post to recap everything that’s been shared, so there’s plenty of room for everyone! I’m really looking forward to a week of running chat, I hope you follow @Chelt52 for the week and get involved, it would be great to have you along. 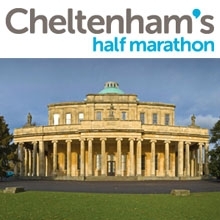 This entry was posted in Events, Kit, Life, Running, Training and tagged Chelt52, Cheltenham, cheltenham half marathon, Runing, Twitter. Bookmark the permalink.